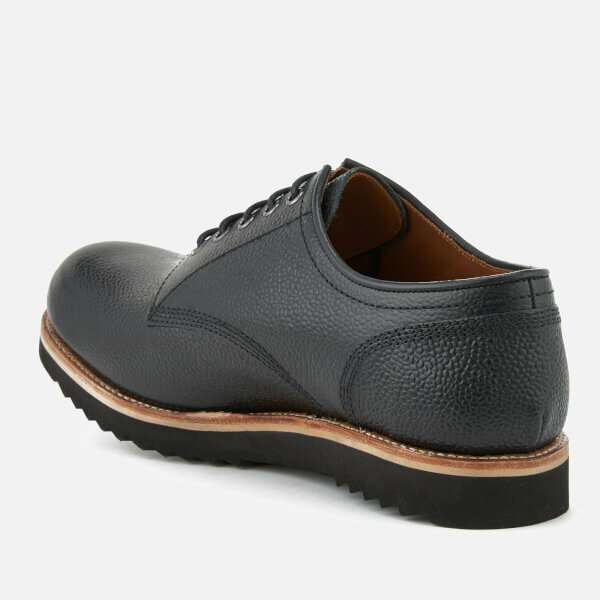 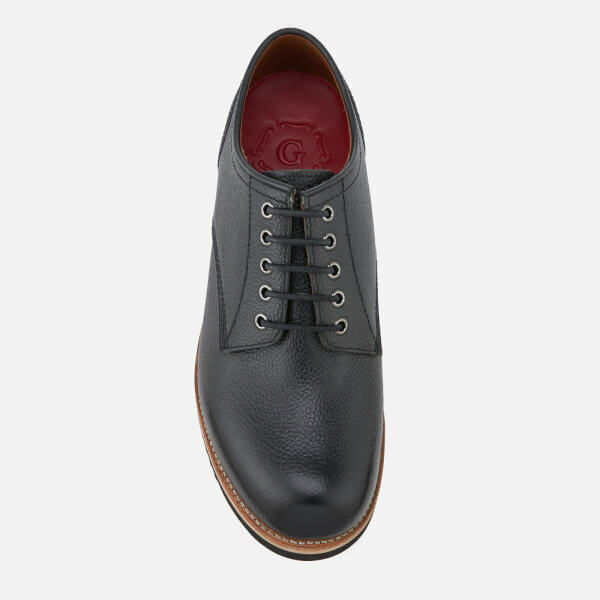 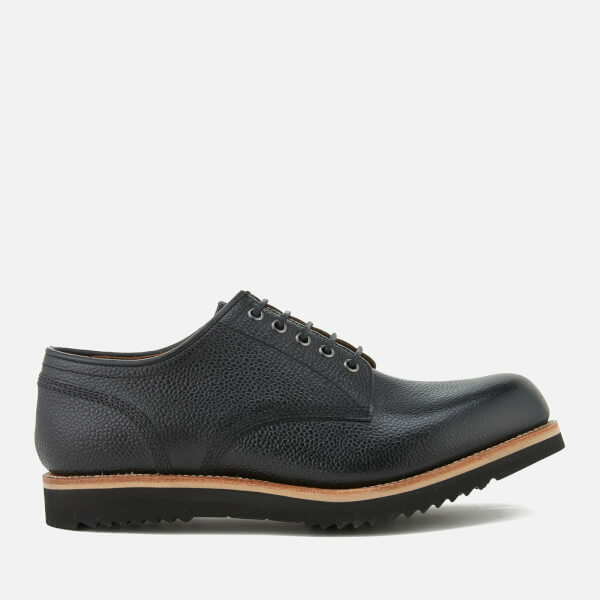 Men’s ‘Drew’ leather Derby shoes from heritage British shoemakers, Grenson. 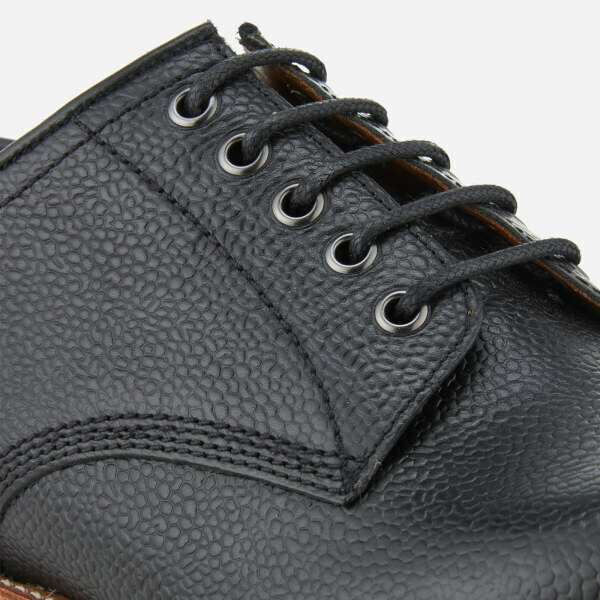 Crafted from country grained calf leather, the lace fastened shoes feature a plain toe silhouette and a lace fastening. 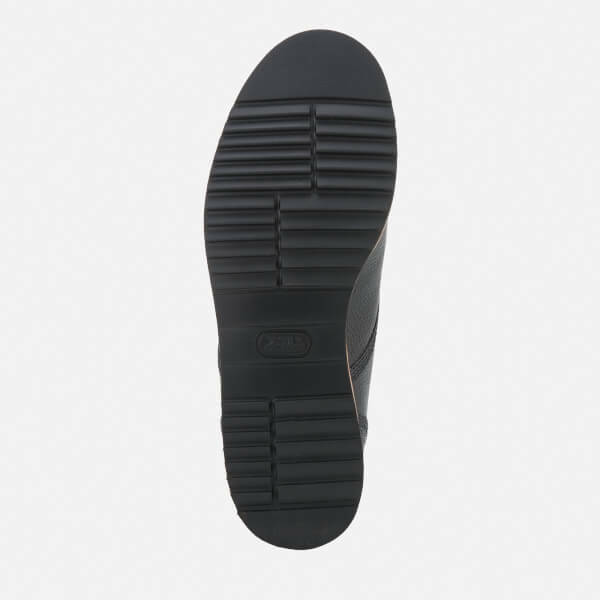 Set on a slim black rubber wedge sole, the shoes are finished with a contrast welt and a comfortable padded leather footbed.